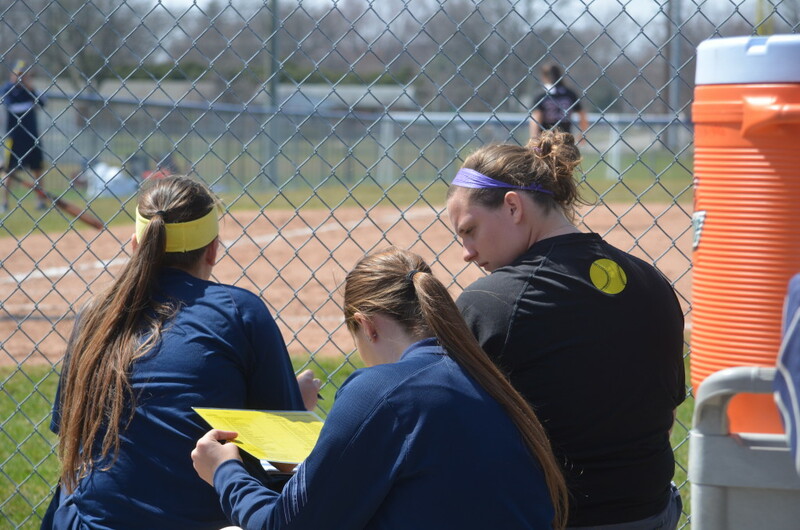 The two University of Michigan-Dearborn softball student managers are no strangers to the program. In fact, they have experienced it both on the field and behind the stat sheet. But according to Riley, who is majoring in communications with a minor in management at UM-Dearborn, being a manager is quite the task. Especially during UM-Dearborn’s season-opening trip to Florida for annual spring training, Riley explained that their responsibilities included how they traveled, what the team was eating and when food was served. Sometimes the duo even runs practices on their own, if needed. “We are basically an extra set of hands that help anyway we can,” Riley said. 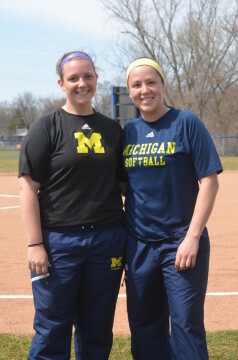 Both Niezgoda and Riley have a huge passion for softball, and hanging up the maize and blue uniform completely just wasn’t in the cards for them, so they decided to take the alternative route. Niezgoda, who played for UM-Dearborn in 2010 and 2014, said she wasn’t ready to give up softball yet. After leaving the team in 2010, Niezgoda coached varsity softball at Monroe Jefferson High School, so management was not unfamiliar territory for her. Struggling with deciding her academic future, Riley came to terms with wanting to see softball in a whole new light. She played for UM-Dearborn in 2013 and 2014. And so the rest was history. Riley has enjoyed the experience that the team has brought her and learning everything that comes along with management. She says she misses playing — as any athlete would — but she adds that learning the specifics of coaching is something that she loves. “I like to see all of the little details that go into coaching and preparing for games and the process of recruiting,” she said. Both Riley and Niezgoda are grateful for the opportunities they’ve been given as managers, but the athletes themselves are just as appreciative. Junior outfielder Val Bertani said that even though their titles have shifted from player to manager, the bond between them and the Wolverines is something special. Bertani and the Wolverines are grateful for Riley and Niezgoda’s contributions to UM-Dearborn softball beyond the playing field. Even with a strong relationship between the game and the team, Riley and Niezgoda have a strong bond with each other as well. They work together on practically everything UM-Dearborn softball related and have become close friends since. Whether it’s on the field in cleats, behind the gates during games, or practicing fly balls with the Wolverines, to Riley and Niezgoda, their love and passion for softball will never fully run out.